The 2017 NMC Technology Outlook for Nordic Schools: A Horizon Project Regional Report reflects a collaborative research effort between the New Media Consortium (NMC) and the Norwegian Centre for ICT in Education to inform Nordic school leaders and decision-makers about significant developments in technologies supporting teaching, learning, and creative inquiry in primary and secondary education across Denmark, Finland, Norway, and Sweden. Adams Becker, S., Cummins, M., Freeman, A., and Rose, K. (2017). 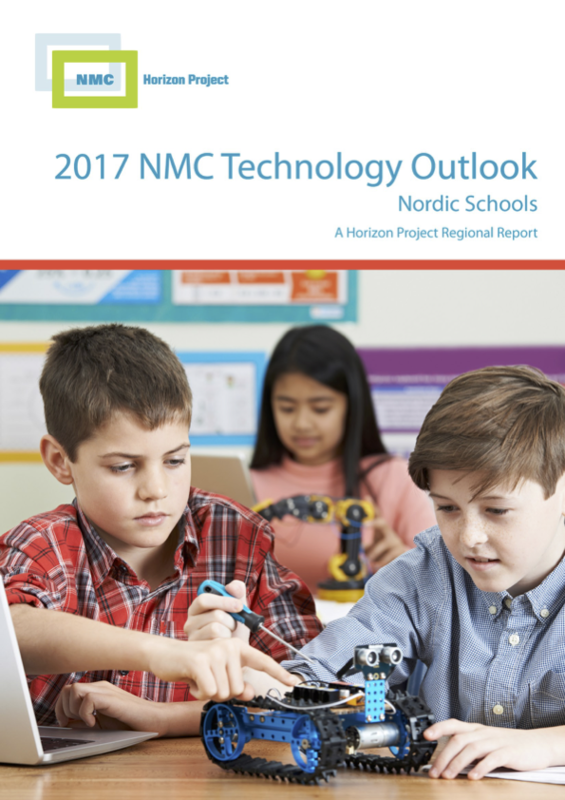 2017 NMC Technology Outlook for Nordic Schools: A Horizon Project Regional Report. Austin, Texas: The New Media Consortium. Becker, A., Cummins, M., Freeman, A. & Rose, K. (2017). 2017 NMC Technology Outlook: Nordic Schools at a Glance . Austin, Texas: The New Media Consortium. Retrieved April 22, 2019 from https://www.learntechlib.org/p/174846/.